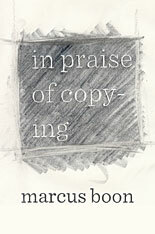 This entry was posted in Journalism and tagged Alain Badiou, Alexander Esenin-Volpin, Buddhism, Catherine Christer Hennix, Charles Stein, Drone, George Quasha, Hallucinogenic Ecstatic Sound Experience, Henry Flynt, In Praise of Copying, Jacques Derrida, Marxism, The Chora(s)san Time-Court Mirage, The Electric Harpsichord, The Wire. Bookmark the permalink. Thank you so much for the your very nice article on Hennix in The Wire – and for this follow up post. 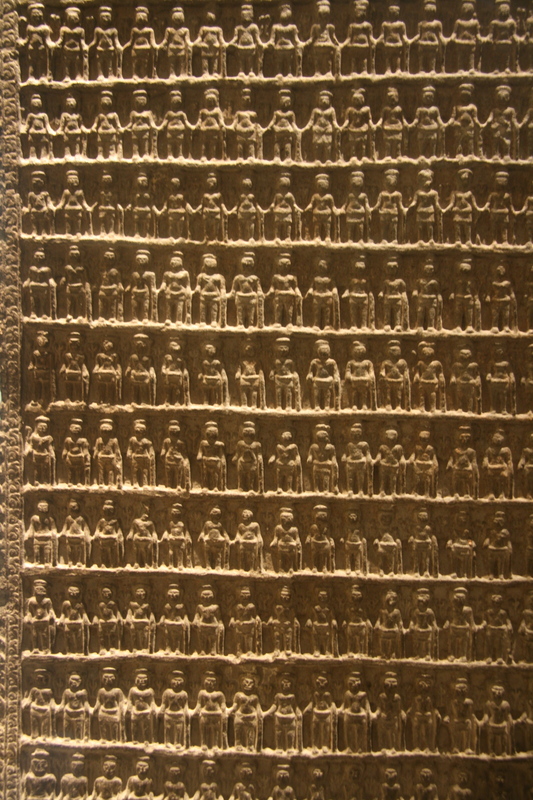 I’m very fascinated with Hennix and in particular the philosophical/mathematical parts of her work. Since I’m located in Denmark and can’t seen to find the Io journal in any accessible library, is there any way you can think of of how I’d be able to read the 41st issue that you refer to? And do you have any other references that refer to this part of her oevre? Thanks Magnus. 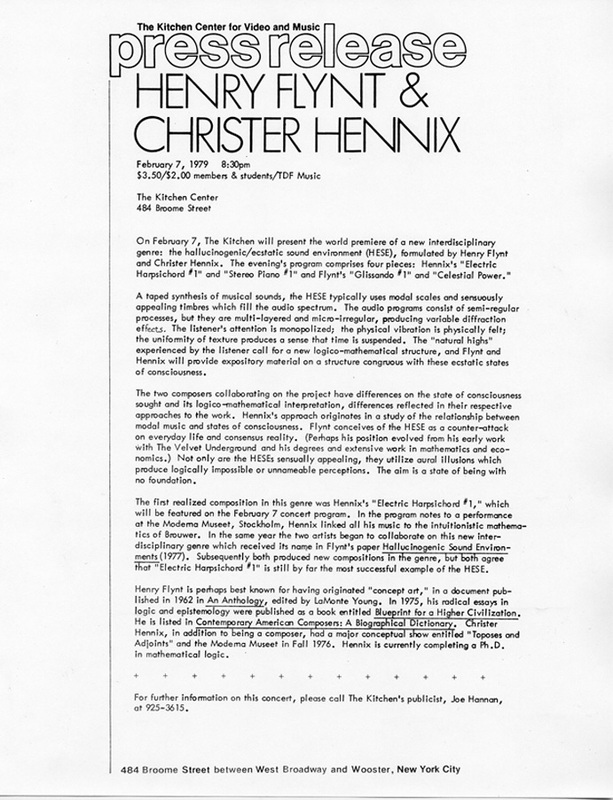 The Io issue is available used from various booksellers, and is probably the best introduction to Hennix. There’s another journal from 1985, WCH WAY #6 that has a piece by Hennix in it. There are also a couple of catalogs (I think?) from the Modern Art Museum in Stockholm published in the 1970s – but I’ve never seen these. Apparently Hennix is putting together a website, so more material may be available in the near future. In the article you mention the new group as “The Chorsan Time Court Mirage”, but in this post you call it “Chorasan Time Circle”. Which is it ? Did she give any indication when there might be a public live performance ? Great article as always, btw. You’re right … it’s “The Chorasan Time-Court Mirage” … altho the group used to be called “The Chorasan Time-Court”. I believe there are plans for them to play, but I don’t know any details yet. Thanks for your piece in the Wire about Catherine Christer Hennix. Opened my head up to her ideas about sound vibration and the ecstatic nature of drones which is hard to verbalize unless you’re in the middle of it. Was fortunate enough to play with Rhys Chatham’s Guitar Trio a couple of years back and started hearing voices in the overtones – somehow produced by massed guitars, cello and violins. It was definitely about more than a bunch of people playing an E note! 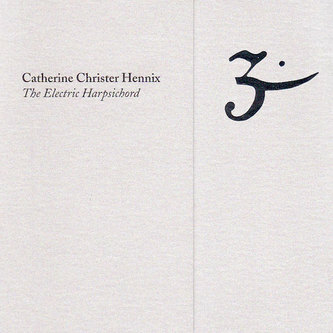 I finally received my copy of EH by Catherine Christer Hennix and along with a couple of friends we listened in silence. Initially, I found it a little disturbing and tried to ascertain why it had this effect on me but I listened to the whole piece along with my two friends, one of which happens to be a Raike Master. The general consensus was that this was not Emperors New Cloths and deserved to be taken seriously.